It's no surprise that I'm all about today, because haven't you heard, FALL IS OFFICIALLY HERE!! My joy abounds and I am thrilled to be at the start of my favorite season. A life with falls is a beautiful thing! This morning started off seasonably cool at 47 degrees in Virginia and I giddily put on my quilted jacket and wrapped a knit infinity scarf snuggly around my neck. My boots are on too! So cheers to a new season, when the leaves gradually turn shades of reds, oranges, and yellows, the air becomes crisp and chilly, fireplaces are cranked up, wool scarves reappear after seasons of neglect, plaid is everywhere, and a hot drink is always needed in hand. I can't quite contain the happiness and I'm okay with that! I'll exude fall all day long and for the remainder of the season. It is after all the best! 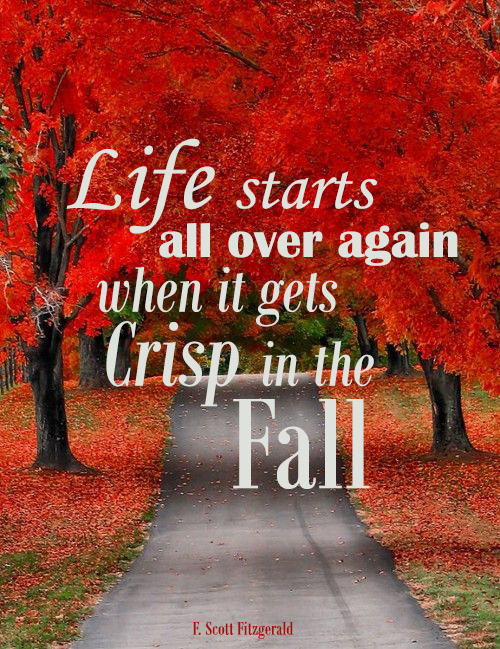 I hope you have some amazing fall festivities planned and that your fall is as cozy and crisp as its ever been! Fallelujah, welcome back my dear friend autumn! p.s. Go to Google and check out their graphic for today; it will make you smile!